Indian actress who has appeared in over 150 films including Sapno Ka Saudagar, Bhagmati, and Bbuddah... Hoga Terra Baap. She had her first small film role at age 17 in the 1965 film Pandava Vanavasam. 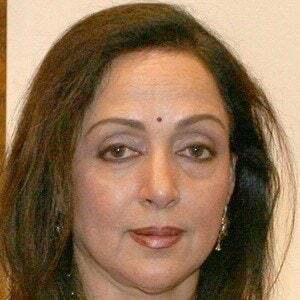 She won the Filmfare Lifetime Achievement Award in 2000. She had two children, Esha and Ahana, with Dharmendra, whom she married in 1979. She co-starred with Sanjeev Kumar in the 1972 Hindi comedy/drama Seeta Aur Geeta.